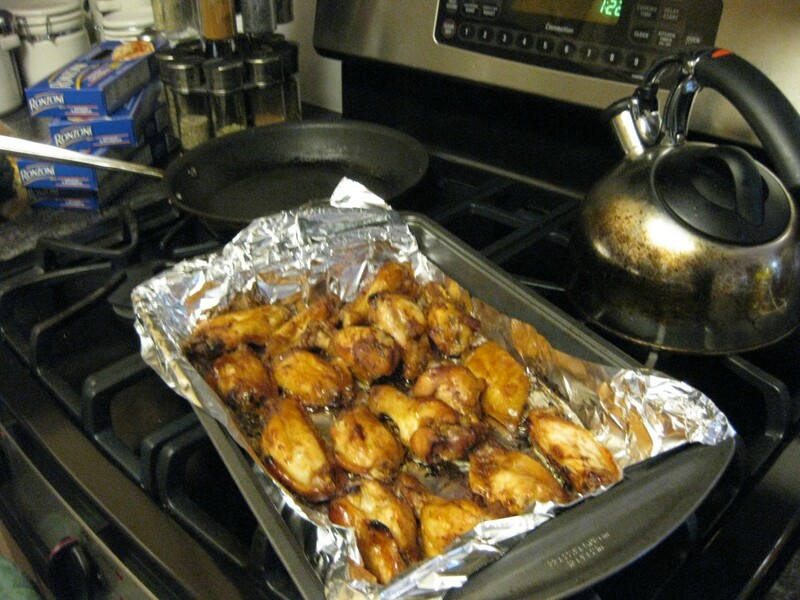 don’t know what mood we were in this morning but you start with wings marinated in something savory…i think some barbecue sauce. that’s a safe bet in the tsang household. 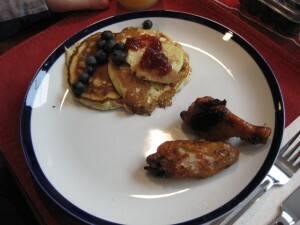 i can eat bbq everyday…..
then you cook up little pancakes and top with blueberries. some oj and french press coffee….and viola! some version of chicken and waffles for brunch. the sweet and savory experience is what i suspect we were longing for and we got that. victor and jenn seemed to enjoy it. we enjoyed teaching them how to make it so they can do so on their own one day maybe.